A significant and vital part of the jazz scene in the North is the contribution made by voluntary promoters, as we highlighted with NORVOL Jazz on December 1st. An interesting and vibrant sub-category of these promoters are those who promote live jazz as part of their career as a performing musician. 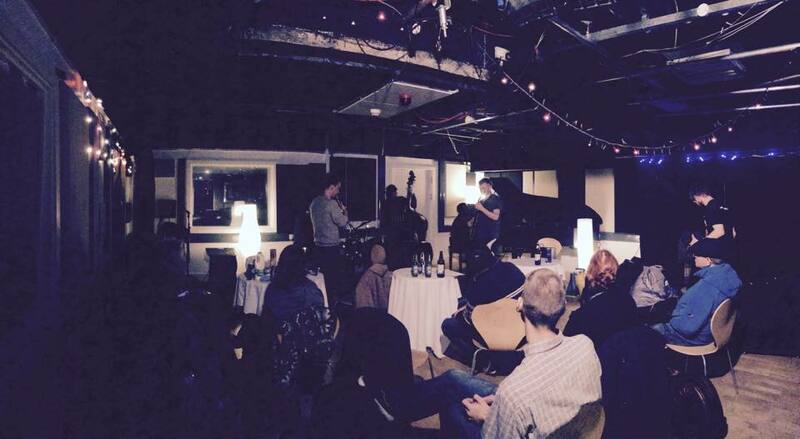 Many young professional musicians are taking up the task of running jazz nights at venues across the North. These musician/promoters provide performance opportunities for both touring and local bands, many of whom are emerging artists themselves. Tenor saxophonist and LCoM graduate Ben Powling has run a very popular jazz gig & jam session at LS6 in Leeds in recent years. He has also recently expanded this programming to include world music events at the same venue. This weekly gig features both local and touring bands. In addition to this, Ben also promotes The Blackout, a series of improvised music nights that feature multiple bands and works for Leaf Label. Guitarist Anton Hunter is an established part of the jazz scene through his work with Beats & Pieces, The Beck Hunters and was recently commissioned by MJF to write a new large-ensemble piece called Article XI. In between this and writing his PhD, Anton has for the last 8 years run a free improvisation night in Manchester called The Noise Upstairs. This event brings together improvisers on all sorts of instrumentation and puts together spontaneous performances and collaboration, as well as featuring sets from established groups. These three Manchester musicians have run Efpi Records for a number of years and their catalogue includes the works of Beats & Pieces, Let Spin, Trio Riot and HAQ amongst others. 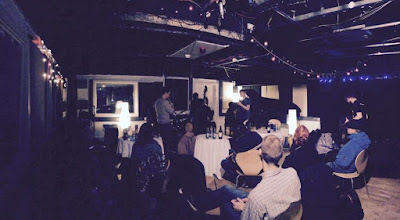 The team also ran a live night called The Freedom Principle and were invited to produce a series of concerts as part of the Manchester Jazz Festival in recognition of their contributions to the scene. Sela Bar in Leeds has long be known as a jazz venue in Leeds and for a number of years has had musicians curating the live gigs. Taking over from Matt Anderson and Sam Gardner early this year was double bassist Tom Riviere. Tom promotes monthly gigs on Sunday evenings at Sela with artists like Stuart McCallum, Sam Leak, Andrew Woodhead and more appearing on the programme. Big band leader, award-winning composer and trumpeter James Hamilton has recently assembled a team of musicians in Leeds to take over a recording and rehearsal studio called Leeds Fold. This space is a home for his record label New Jazz Records and is used for recording sessions and rehearsals by improvising musicians. They also host live events including jam sessions and will soon be entering into the world of gig streaming. The Lescar programmes live jazz weekly and is run by pianist Jez Matthews. Jez took over the venue from guitarist Chris Walker a few years ago and has a seemingly limitless source of energy in promoting a varied programme from mainstream swing to left-field improvised music. Jez is also involved with Sheffield Jazz. Paul Edis is widely considered to be a leading figure on the North East scene and has released three albums as a leader as well as featuring on many more as the pianist in ACV and other groups. Paul programmes jazz at the Lit & Phil, utilising the beautiful acoustics to showcase local and touring jazz musicians. The Lancaster Jazz Festival has gone from strength to strength under the directorship of clarinettist and composer Matt Robinson. Another LCoM graduate, Matt and his team programme an annual festival with a focus on emerging talent and events across Lancaster as well as a special commission project each year. Originally set up by pianist Declan Forde, now resident in Berlin, Sproggits is a night which usually features a double bill of one local and one out-of-town band. It takes place in Wharf Chambers and has seen performances by Glasshopper, Alicia Gardener-Trejo's Bobtail and one-off collaborations between many improvising musicians in the North. Double bassist John Marley has been involved in promoting and performing live jazz in York for many years and is an important factor in the growing number of gig opportunities and growing audiences for jazz in York. The Phoenix in York sees regular gigs and jam sessions led by many musicians from the Leeds and York scenes.